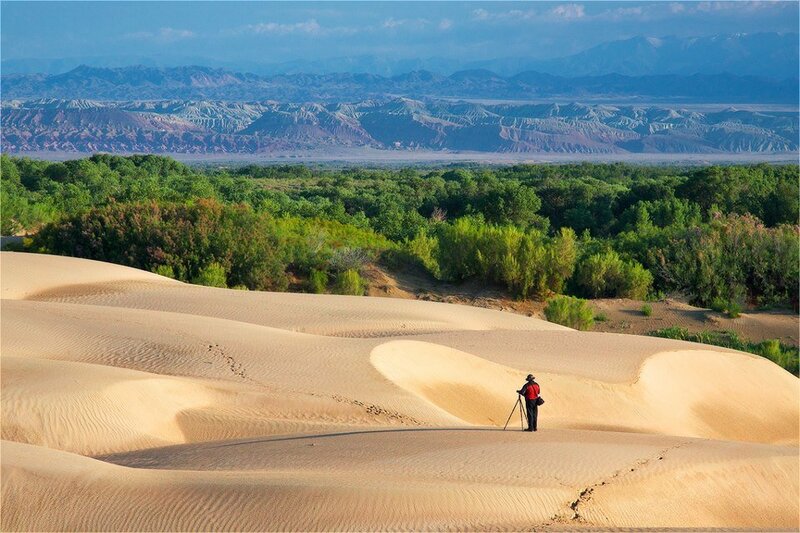 This national park is sprawled in the heart of Central Asia in the valley of the Ili River about 150 kilometers (93 miles) from Kazakhstan’s largest city, Almaty. 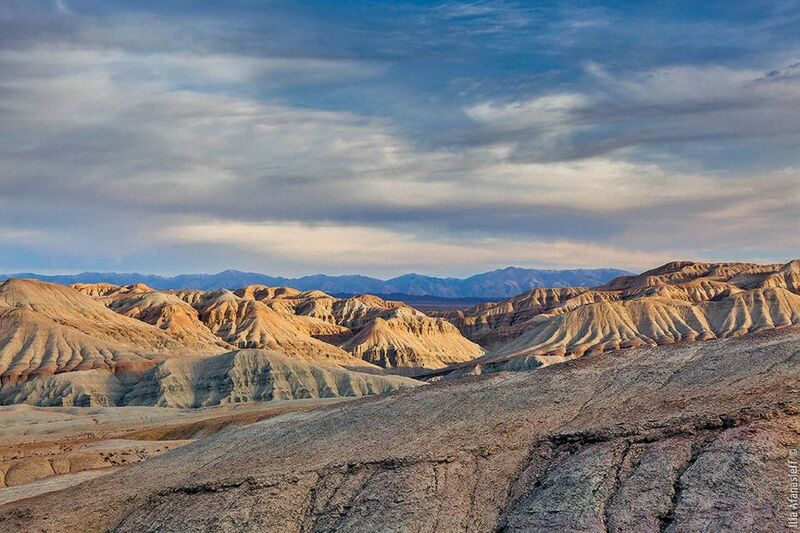 The park was established April 10, 1996 to preserve the unique natural beauty and complexity of the region, and has provided the opportunity for the development of ecological tourism. 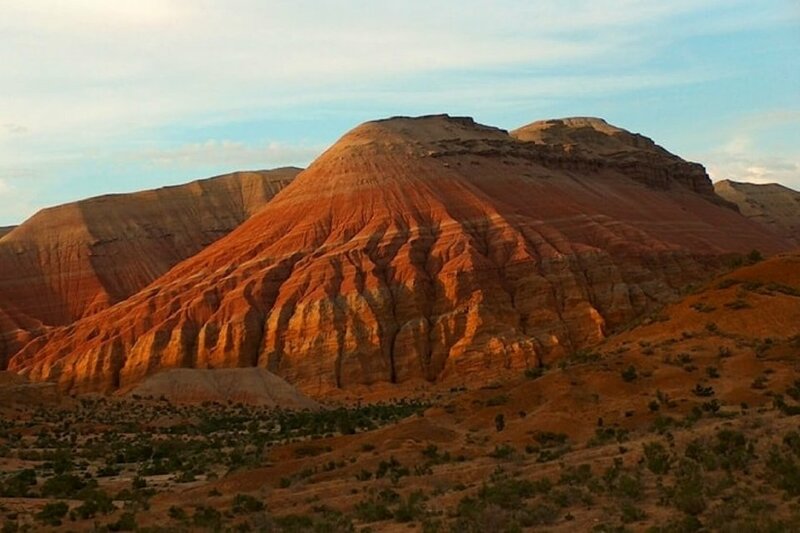 The park contains unique geological formations, mountains, desert landscapes, archaeological, historical and cultural monuments, and rare and endangered species of plants and animals. 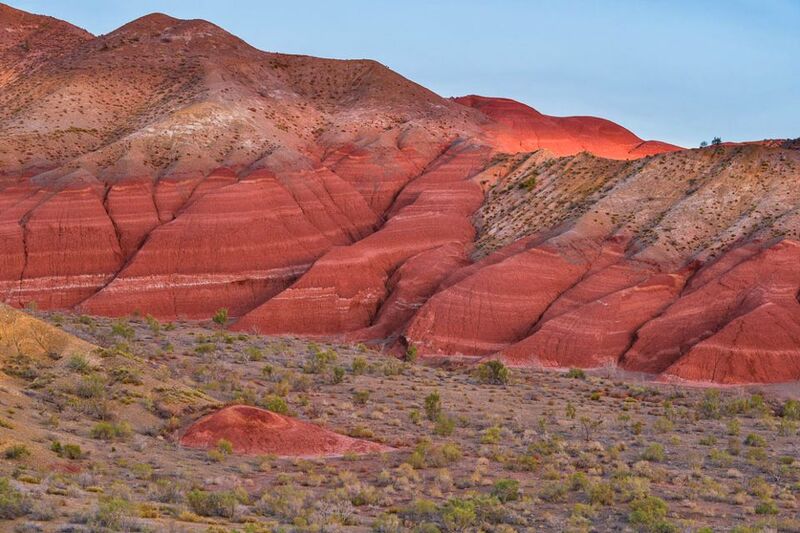 The park’s flora totals about 1,800 species of plants, among them 21 are included in the Red Book of Kazakhstan; about 60 types are endemic and rare forms of the Dzhhungarian Alatau and the Ili-Balkhashsky pool. 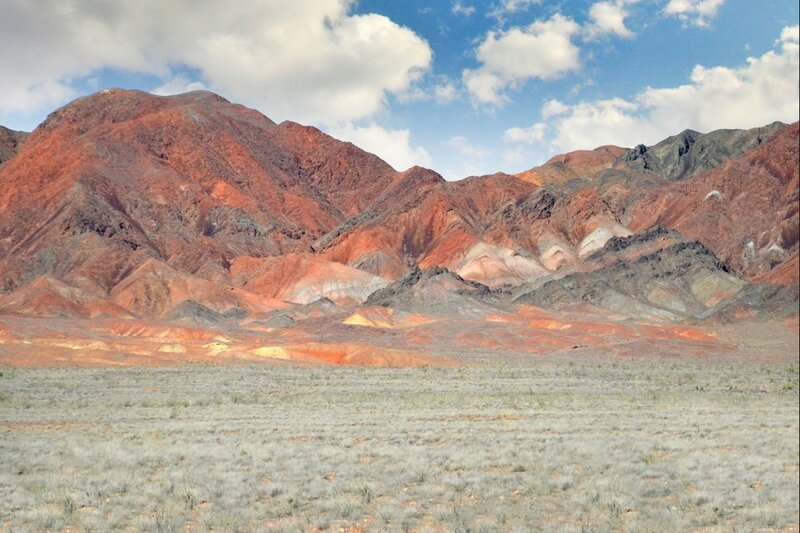 In addition, 56 animal species living in the park are also included in the Red Book. 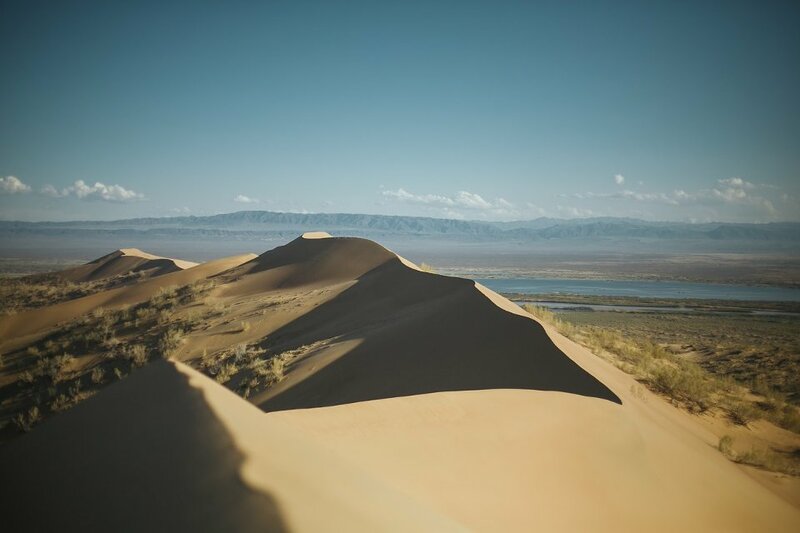 The Singing Sands are a popular attraction in Altyn-Emel. 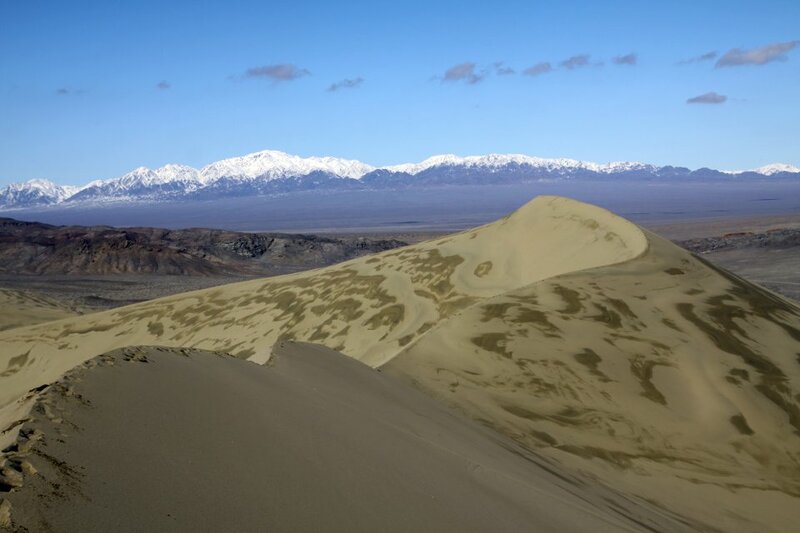 The size of the Dune is enormous, with a length of approximately 2-3 kilometers (1.2-1.8 miles) with a height of around 120 meters (394 fee). 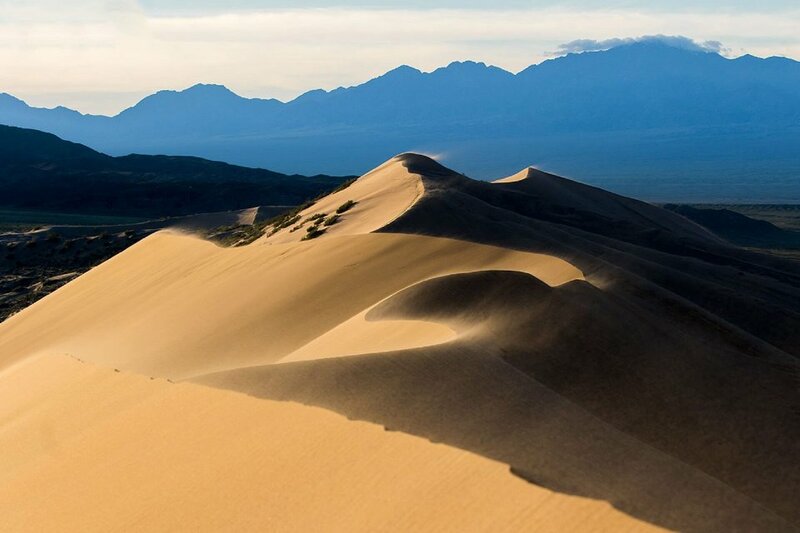 In the dry weather, the Dune produces melody-like sounds, giving it the name — Singing Sands. 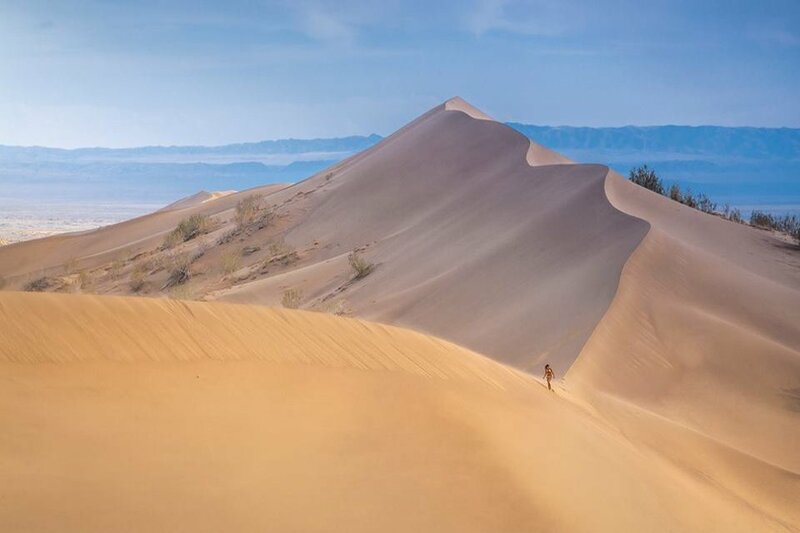 The “song” of the Dune can be heard even 7 kilometers (4 miles) away. Why does it sing? While unknown, the reason might be that the sound is produced when very small grains of sand rub against one another. A gust of wind provides an audible squeak, and strong gusts provide more intense and expressive sounds resembling sounds of an organ. Even in calm weather, one can hear music of the Dune. 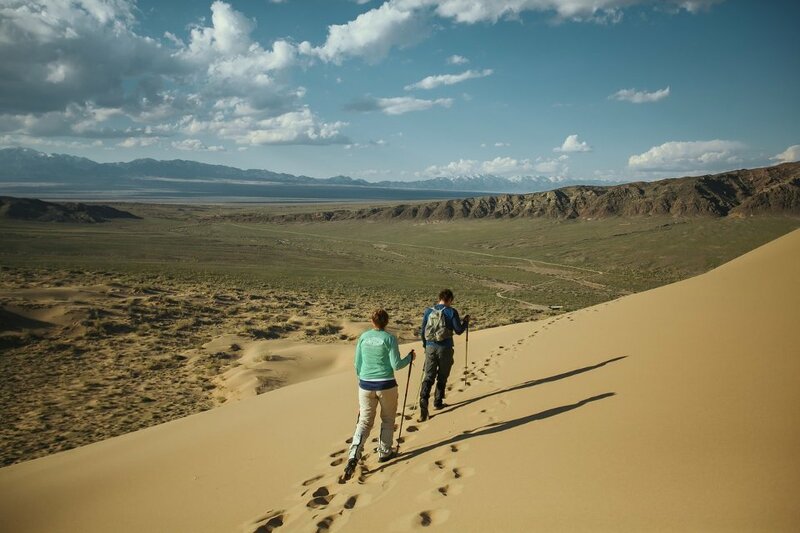 Another mystery about the Dune is that despite the unfixed sand, it does not travel and remained in the territory of Altyn-Emel for several thousand years. 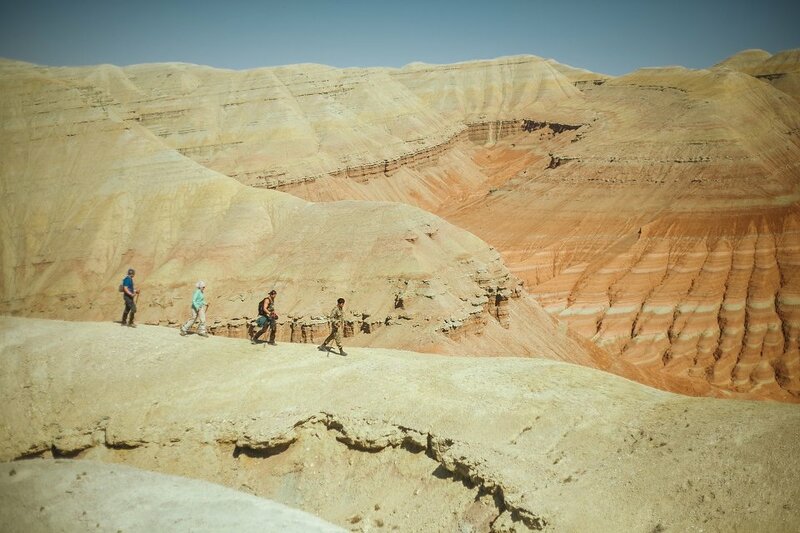 A legend among the local people says “the great Genghis Khan and his faithful warriors are buried under these sands. 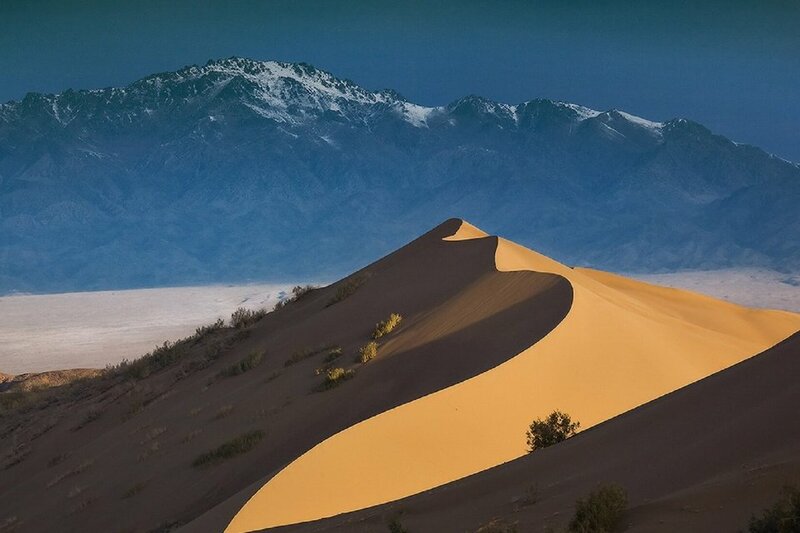 Therefore, the Dune sings when the soul of the Khan, exhausted by the spiritual unrest, tells his descendants about his victories”. 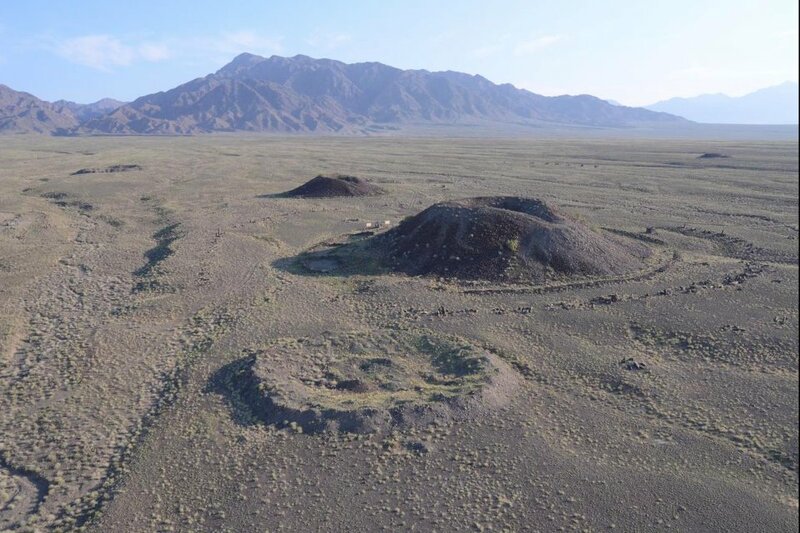 This attraction of Altyn-Emel State National Nature Park is Besshatyr (“five tents”) — a complex of five royal burial mounds which look like natural hills rising over 20 meters (65 feet). 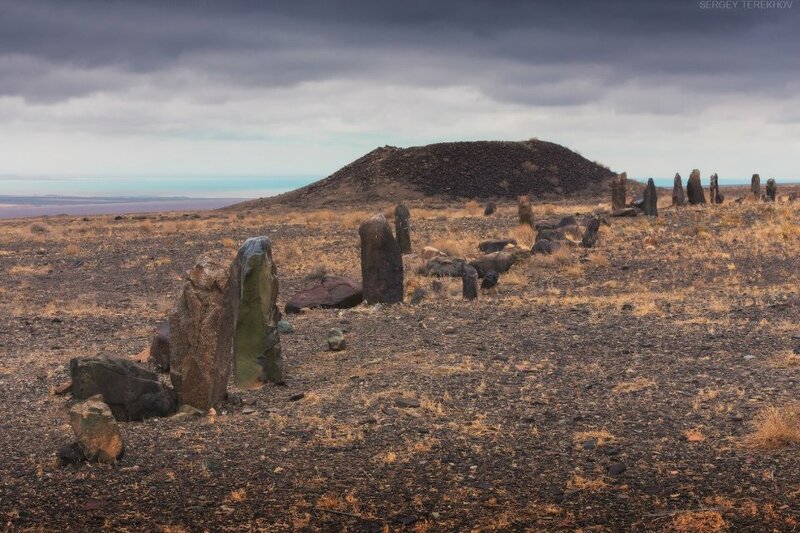 According to historians, Saka rulers of VI-III century BC are buried here. 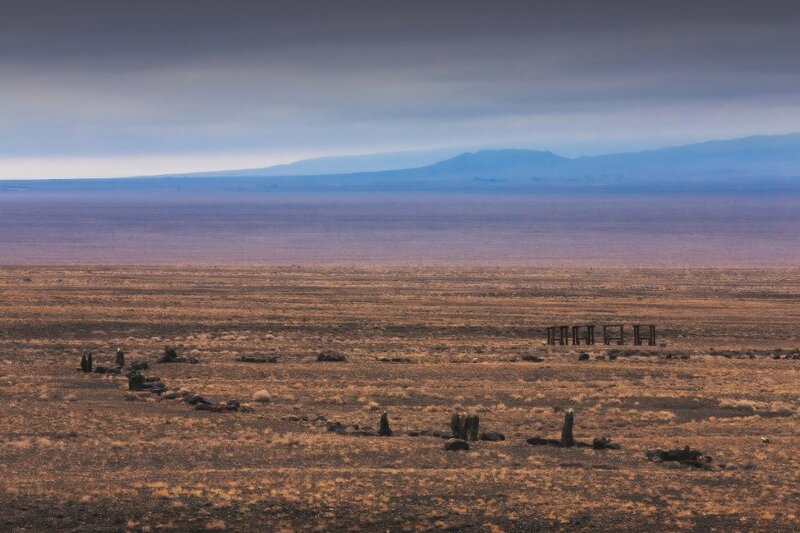 45 solid blocks of stone, carved with images of animals, are lined up along the burial mounds. 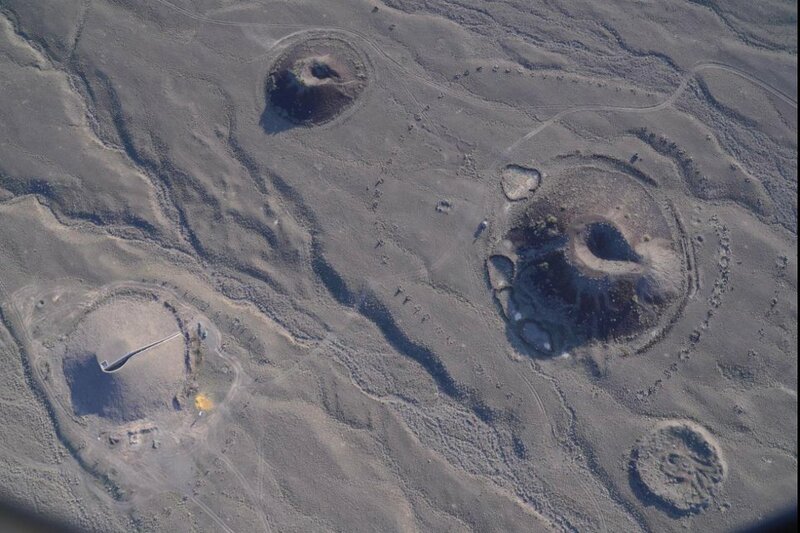 The mounds and carvings remind many of Stonehenge in England. 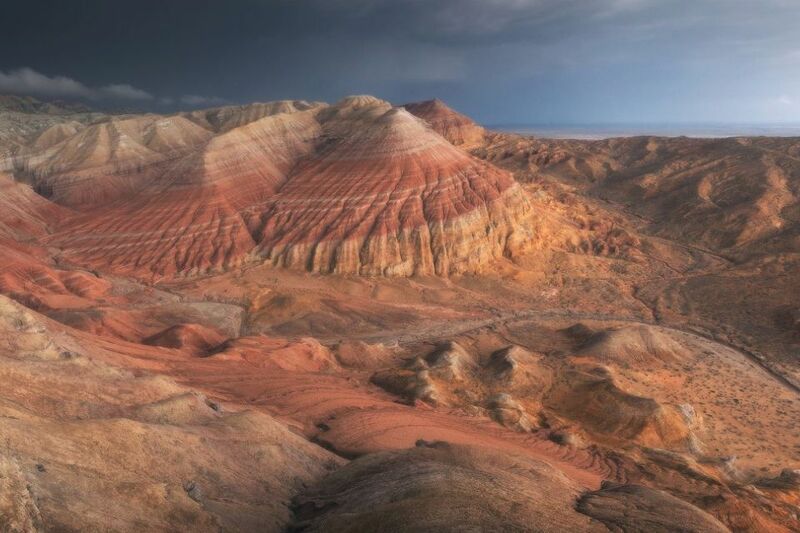 The incredible mountains of Katutau and Aktau offers visitors with unusual surfaces and unique attractions. 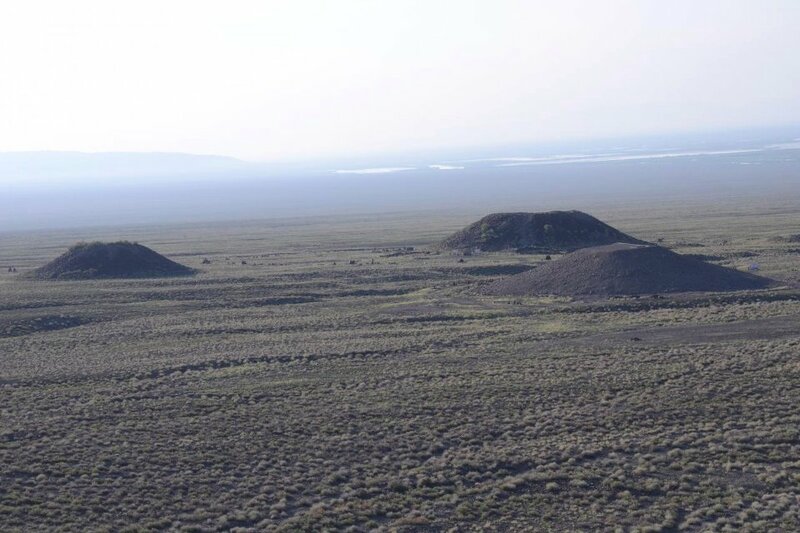 Katutau is famous for its unique appearance, which was probably created by small volcanoes that erupted and immediately cooled down over several thousand years ago. 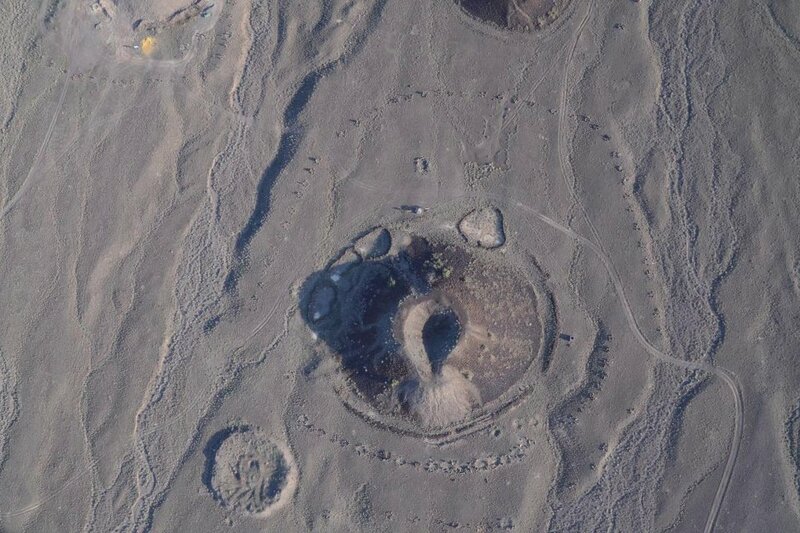 Today, it’s unique shapes are well preserved and remain the same. 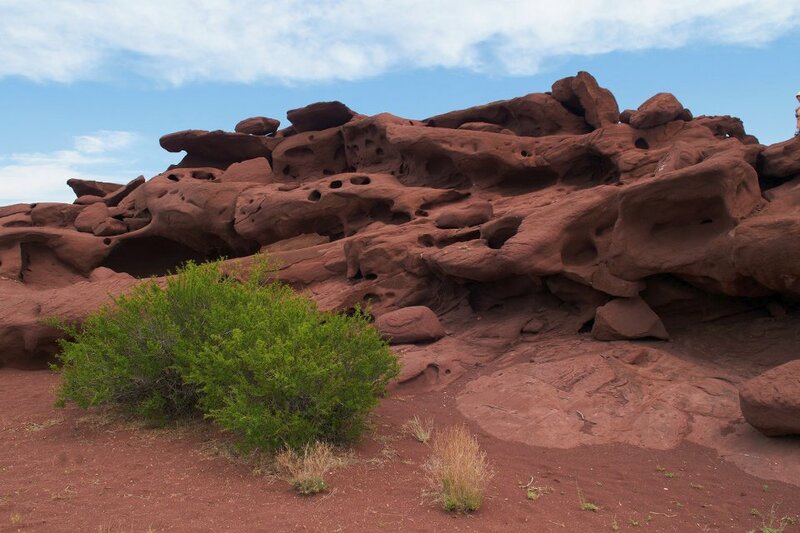 These shapes include holes, groves, and cracks of all forms and sizes. 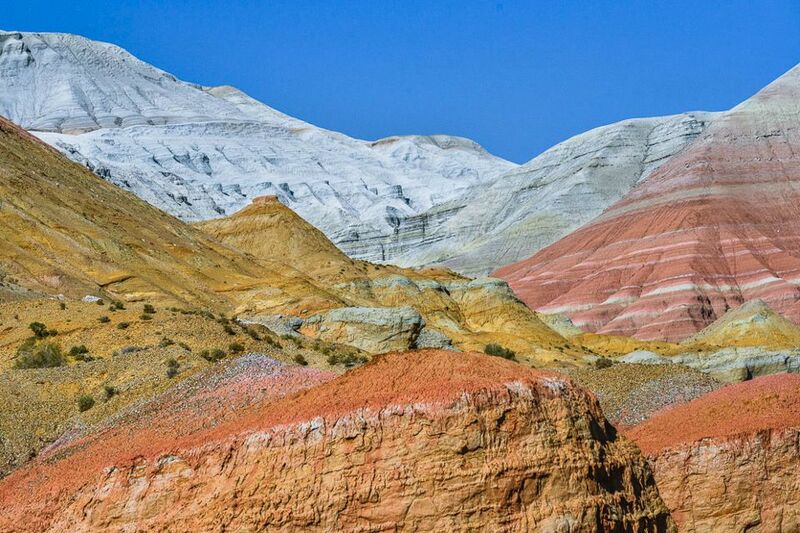 Aktau Mountains will amaze you with their red, green, pinks and even pale blue colored stony slopes. 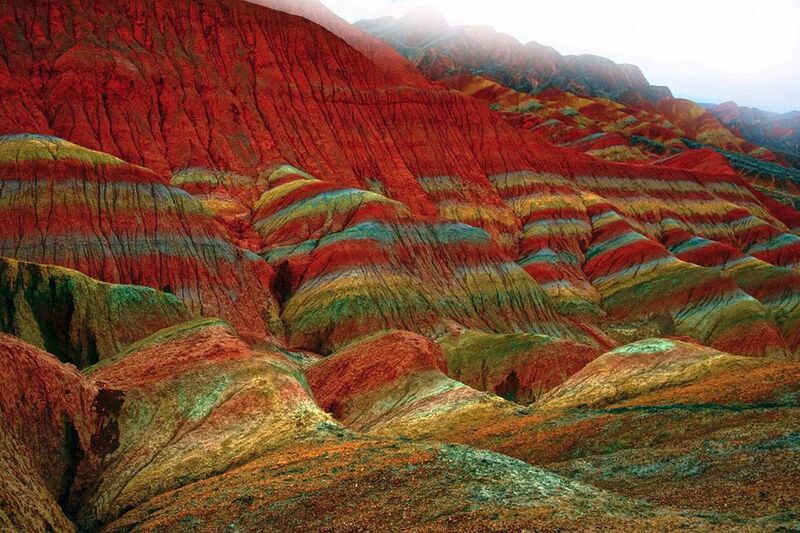 The mountains are likely an ancient sea bed, which left its traces on the surface of the mountains. Archaeologists have discovered dinosaur bones and remains of other species are still being discovered today.